Originally from County Armagh, Gareth moved to Glasgow after studying music at Queen's University, Belfast. 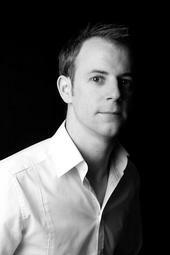 He completed his Masters in Composition in 2000 at the RSAMD, and a Postgraduate Certificate in Education in 2002. In 2008 he completed his PhD in Composition at the Academy, studying with Gordon McPherson, and now teaches in the composition department. Over the last few years Gareth has been active as a composer at the RSAMD, producing work for groups such as the Hebrides Ensemble, Scottish Opera, the Paragon Ensemble, the Ceoil Quartet, Symposia, the Black Hair Ensemble, and the London Sinfonietta. He was the winner of the British Conservatoire Composers Forum 2000, and in 2004 he won the Dinah Wolff prize for composition. His work has been featured in the Edinburgh Festival, the St. Magnus Festival, the Tete a Tete Opera Festival, and the York Late Music Festival. In December 2004 Gareth was one of six composers who launched the Ken exhibition in Glasgow, organizing a weekend festival of contemporary music and art, whilst composing, producing, and performing an hour-long piece of music theatre. The piece, Dead Duck, was an exploration of nostalgia and contained images, objects and music that dated back to his childhood. The use of personal and popular material is a strong characteristic of his work and he performs regularly as a singer/songwriter and piano player. His first opera, Love in the Blue Corner, was premiered at the Plug Festival in May 2006 and received five stars in the Glasgow Herald. In 2008 Gareth worked with Irish writer Bernard Mac Laverty to create The King's Conjecture for Scottish Opera which led Scottish Opera to re-commission the composer for their 2009 season to create another work - White was premiered in February in Glasgow and Edinburgh. Soft Rains, for solo soprano, six part choir, organ and taiko drums, was commissioned to commemorate the building of the Clyde Tunnel in Glasgow, and was performed in March 2009 at Glasgow's Kelvingrove Museum. Other performances in March included the premiere of 'Not Waving, Not Drowning' for double bass and ensemble, commissioned by the RSAMD for the 2009 Stringfest. Later in 2009, Gareth has been invited to take a residency at the Centre Culturel Irlandais in Paris, where he will be writing a large-scale piece of music theatre, and a residency at Cove Park Artist's Retreat in Scotland, where he is commissioned to write for the Da Vinci Piano Trio. He is also currently working on two new opera storylines, the first will be an opera written for young singers to perform in Glasgow next March. Gareth is represented by the Irish Contemporary Music Centre and has recently been invited to sit on the board at the Scottish Music Information Centre.